Brought to you by James Rydmark - Canby Builders Supply - DECK EXPERT - Want a better deck? Follow these steps! Does warm weather mean deck repair and maintenance? Should time and energy be spent stripping, sanding and staining an existing deck or could old boards be replaced with new ones? If deck joists and overall condition is sound replacing deck boards may be an option rather than replacing the entire deck. If the framing substructure is sound, carefully remove and discard the old decking and railing, leaving the substructure and framing in place. Check with the local building department to see if permits are needed. Inspect all framing and framing hardware for code compliance, structural integrity and compliance with your chosen decking material. Level out the surface for the new deck boards, make sure the joists are level and even with each other. Joists may need to be shaved to achieve this. Lay new deck boards, following the instructions for spacing for the product you're using. Posts? Attach pressure-treated structural rail posts to framing as required by code. Finish off by adding your choice of railings and decorative elements, like post caps or top rail caps. Instructions a little overwhelming? 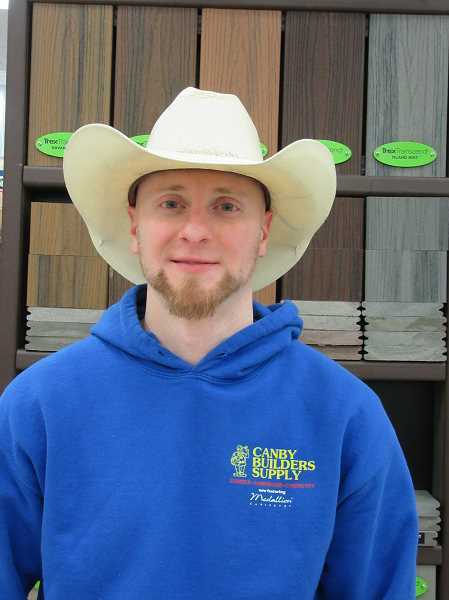 See James, the Deck Insider Expert, at Canby Builders Supply. He can answer your questions and help you decide if decking can be replaced or if a new deck would be best. He'll share his knowledge so you can decide which products would work best for your area, tastes, budget and design---sustainable hardwoods, treated softwoods or composite recycled materials, like Trex.